STG Aerospace is thrilled to announce that leading Asian low-cost carrier (LCC) Jeju Air is the latest major carrier to select the leading retrofit LED lighting system, liTeMood®. 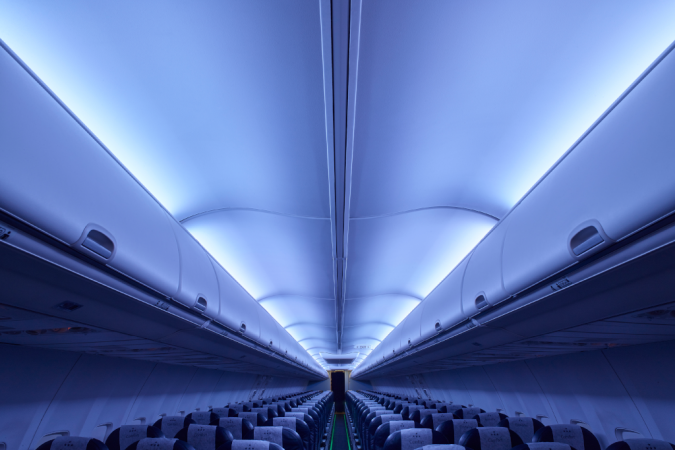 STG Aerospace is the leading manufacturer of aftermarket LED lighting systems, with more airline installations than every other supplier combined. It counts leading European, US and Asian carriers in its install base, from ultra LCCs to charter airlines, VIP configurations, and significant international flag carriers. liTeMood® is currently available and EASA- and FAA-certified for the complete range of B737 aircraft, Boeing 757 aircraft and the Airbus A320 Family, A330 aircraft and A340 aircraft.